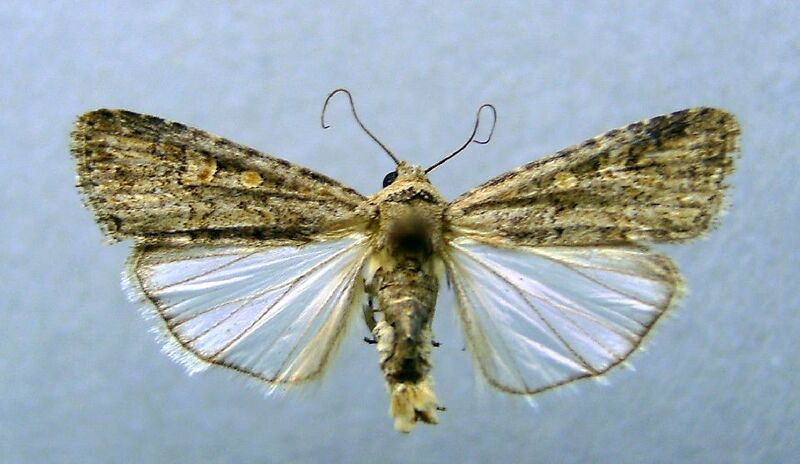 This month’s field scouting guide concentrates on Spodoptera exigua (beet armyworm). Each month, we bring you a different crop protection issue, ranging from weeds and diseases to insects and even wildlife. 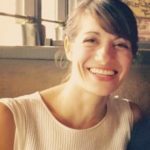 We’ve reached out to entomologist John C. Palumbo, University of Arizona, to learn how to spot and treat this pest. Geographical Range: It can be found year-round on vegetable crops throughout the Southern U.S.
Crops affected: BAW has a wide host range that exceeds 90 plant species, and it is a pest on many vegetable and melon crops. In the Desert Southwest, BAW is a key pest on leafy vegetables (lettuce, celery, spinach), brassica cole crops (cabbage, broccoli, cauliflower), and melons (cantaloupe, honeydew, and watermelon). It is most prevalent from August through November on fall-planted vegetables, and again from April through July on spring-planted melons. 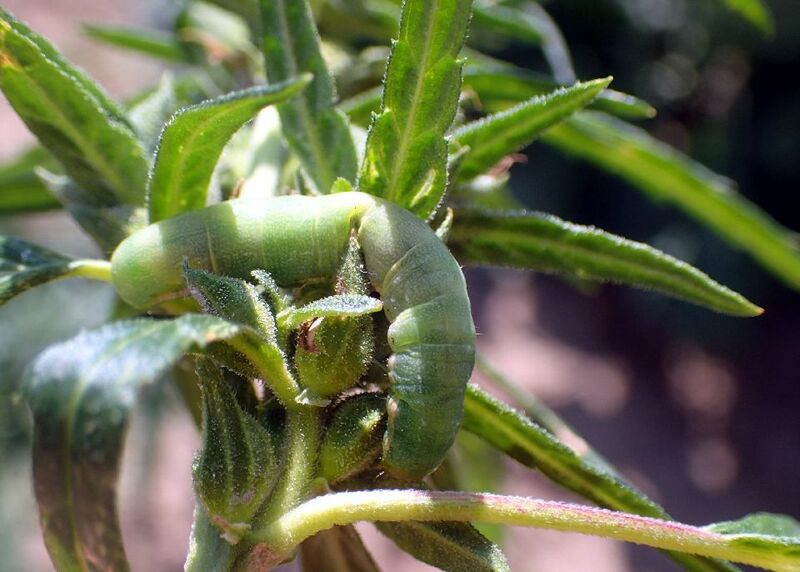 Beet armyworm (BAW) is an annual pest occurring throughout Arizona and Southern California that requires control with insecticides to prevent economic yield losses. It is considered the most important economic pest of leafy vegetables during the fall growing season and can cause significant damage to watermelons in the spring. In general, BAW larvae feed on the foliage of leafy vegetables and the fruit of melons. Neonate larvae usually begin feeding immediately on the leaf tissue where they hatched. Large numbers of larvae can skeletonize plant foliage. As larvae mature, they tend to move from plant to plant and eat large, irregular holes in foliage or feed on immature fruit. All stages of BAW larvae will feed on plants. The older, larger larvae (third to fifth instars) can consume significant amounts of foliage and cause the most feeding damage. Lettuce (all types): BAW may severely stunt or kill seedlings during stand establishment by extreme defoliation. In head lettuce and romaine grown for hearts, damage is often economic once cupping begins, as larvae may feed on the head or heart, rendering it unmarketable. Damage to leaf lettuce types results from larval feeding on marketable leaves. 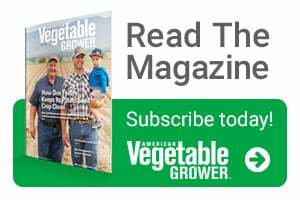 Contamination of harvested lettuce heads, romaine hearts or leaf lettuce with either live larvae or frass will usually render it unmarketable. Celery: BAW can cause serious damage to celery, particularly by older larvae late in the season that feed on tender foliage and on the inner surfaces of the petioles (stalks). Damaged petioles can make whole plants unmarketable. Spinach: Larvae will often feed in the crown of the spinach plant and can severely stunt or kill seedlings. In baby spinach, the potential for damage to leaves and contamination continues right up until harvest. Feeding damage on terminal leaves of spinach can cause cosmetic blemishes and holes as the leaf expands. Cole Crops: BAW can kill seedling plants at stand establishment or severely stunt plant growth by feeding on newly developed terminal buds. They also feed on the newly developing leaves of cabbage heads; excessive feeding can render cabbage heads unmarketable. Melons: BAW is primarily a foliage feeder, but it damages watermelons by attacking immature fruit. The injury caused by fruit feeding is superficial, and little loss would result if not for the cosmetic blemishes left on mature melons and fruit rot that may occur from decay organisms that enter the wounds. 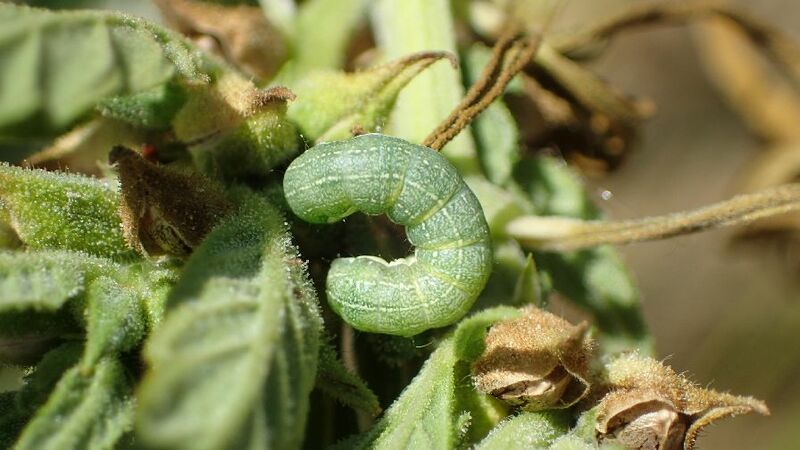 When BAW larvae first hatch, they may be confused with other Lepidopterous larvae (e.g., corn earworm or fall armyworm). Once they begin to grow, however, they are easy to identify. Pheromone traps can be used to detect adult moth activity but are not generally thought to be reliable in determining in-field larval infestations. Rather, sampling individual plants is recommended because ovipositing moths frequently migrate from surrounding crops or weeds. Visual sampling for damage and larvae is the most reliable method to detect larval infestations. In leafy vegetables, this generally entails destructively sampling whole plants, and carefully looking for signs of recent feeding, the presence of eggs, and small larvae. During head formation, sampling should include examining wrapper leaves and dissecting heads. In melon crops, lift and shake vines to dislodge larvae onto the ground. In watermelon and cantaloupe fields that are setting fruit, carefully monitor for larvae and fresh feeding damage on developing melons. Sample fields at least two to three times per week, depending on the crop and the crop stage. Ideally, you should monitor for all BAW on vegetables before seedlings emerge. Examine weeds on field borders for larvae and eggs prior to stand establishment. Once seedlings emerge, sample plants randomly across the entire field from areas of the field most likely to be infested (i.e., field edges near cotton or alfalfa), or areas where larvae have previously been found. 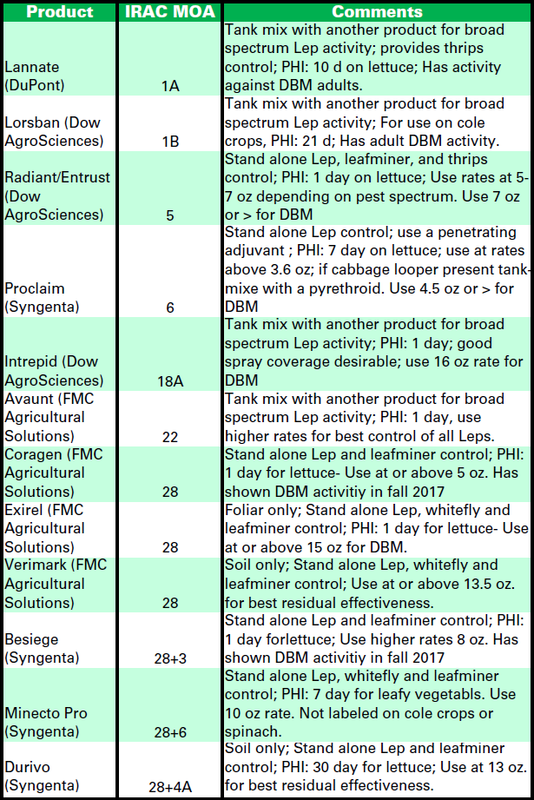 Sample separately for fields with different plant varieties, planting dates, or other unique areas within the field. Sampling frequency should also consider irrigation schedules, field-labor activities, insecticide applications, and re-entry intervals. Disc fields immediately following harvest to kill larvae and pupae. Sanitation along field borders is important; beet armyworms often migrate from weedy field edges into newly planted fields. Delaying produce planting until after nearby cotton is defoliated may help in reducing insect pressure. Inspect cole crop and watermelon transplants should be inspected carefully for larvae and other pests before transplanting. Numerous natural enemies attack BAW larvae in the desert. Parasitic wasps and tachinid flies are generally thought to be the most effective control agents, but a nuclear polyhedrosis virus also will kill larvae when humidity is high during the summer. In practice, however, these natural control agents are rarely effective enough to prevent BAW larvae from damaging leafy vegetables or melons.